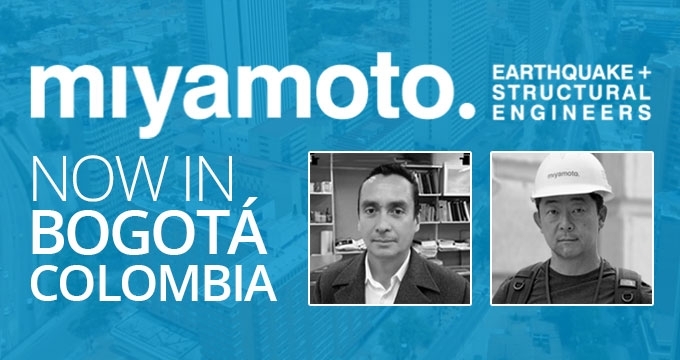 BOGOTÁ, Colombia – The global earthquake and structural engineering firm Miyamoto International has opened a Bogotá, Colombia office to share its expertise and better serve new and existing clients in South America. 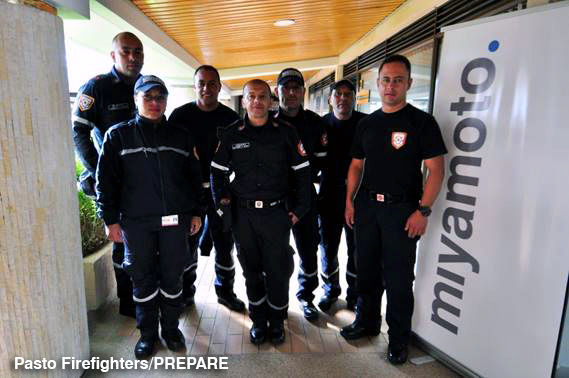 Miyamoto already has a project office in Pasto, Colombia, where the firm runs PREPARE, a USAID/OFDA program that provides municipal disaster-risk management officials and first-responders such as bomberos with a better picture of the impact of a major earthquake and assists them in preparing and planning accordingly. With 19 offices in areas of high seismic activity and risk worldwide, Miyamoto says its expertise helping building investors, developers and government prepare for strong seismic events are critical to save lives and positively impact economies. “We are very excited to be in Colombia,” said CEO Dr. Kit Miyamoto, whose work helping countries recover from catastrophic earthquake damage has been featured on CNN, the Discovery Channel, PBS, The New York Times, Rolling Stone and many other media outlets. The Colombia office will be led by Bogotá expert engineer Juan M. Sandoval Leal, who will be speaking on “Global Best Practices in Earthquake Structural Engineering” with Dr. Miyamoto at a conference sponsored by Facultad de Ingenieria – Programa de Ingenieria Civil at the Universidad Católica de Colombia, Avenida Caracas 46-72, Bogota in the Auditorio LasTorres at 6 p.m. on July 18. Register here. As Country Manager, Sandoval will be backed by experts from the firm’s worldwide locations, such as experts in historic structures in Italy and high-performance engineering experts in California and Japan. The PREPARE program in Pasto is under the leadership of disaster-risk management specialist and geotechnical engineer Jaime Eraso. The firm has a deep portfolio of work in the aviation, civic, commercial, disaster risk reduction, education, healthcare, high-rise, historic, hospitality, mixed-use, industrial, religious, transportation and university sectors, as well as seismic retrofit work and high-performance engineering. Miyamoto has offices in Sacramento, San Francisco, San Jose, Los Angeles, Orange County, San Diego, Reno, Washington, D.C., Costa Rica, Colombia, Haiti, Liberia, Italy, Turkey, India, Nepal, Thailand, Japan and New Zealand. Juan M. Sandoval Leal, M.S., Eng.